Who said tiles should be used only for floors and walls? Tiles can actually be an excellent option for countertops. Not only won’t they stain, but they also withstand heat and water. 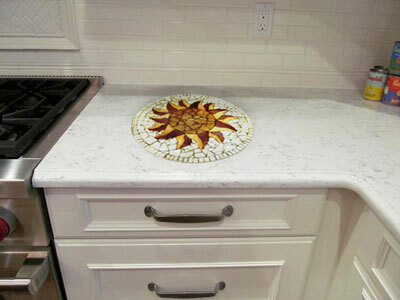 The two most popular types of countertop tiles are ceramic and porcelain. 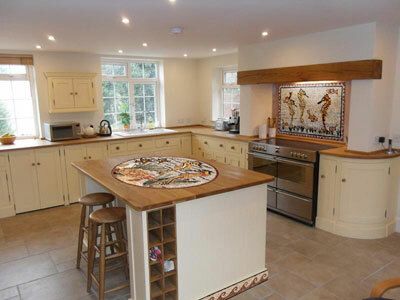 Ceramic: produced from pressed clays and finished with a glaze, ceramic is known to be the most common and least expensive option for countertops. The glaze constitutes the protection layer that makes it resistant to water and stains. Porcelain: it is also a long-lasting option for countertops but more expensive and harder to install than ceramic. It is made of clays and minerals fired at high temperatures.